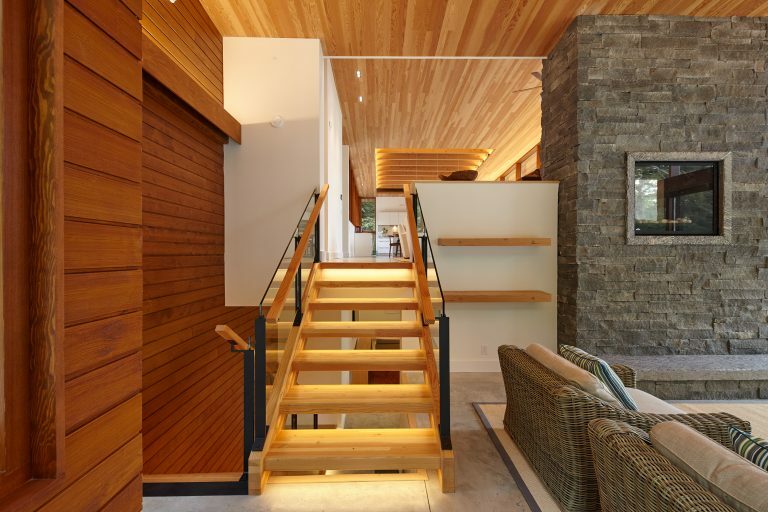 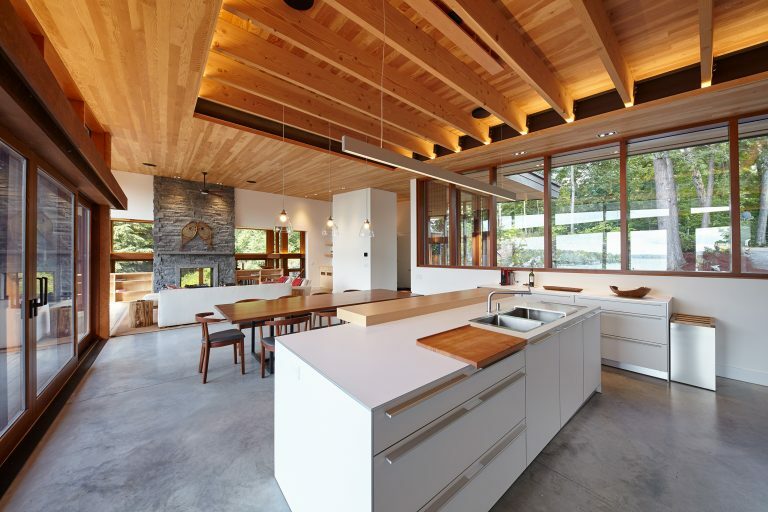 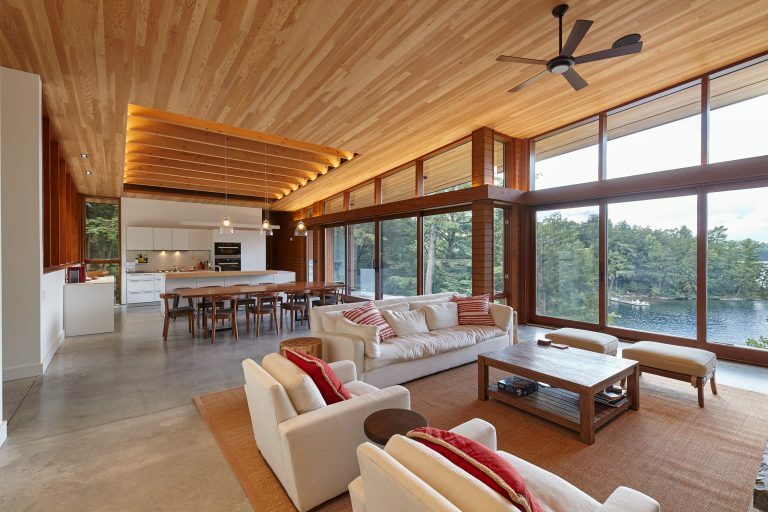 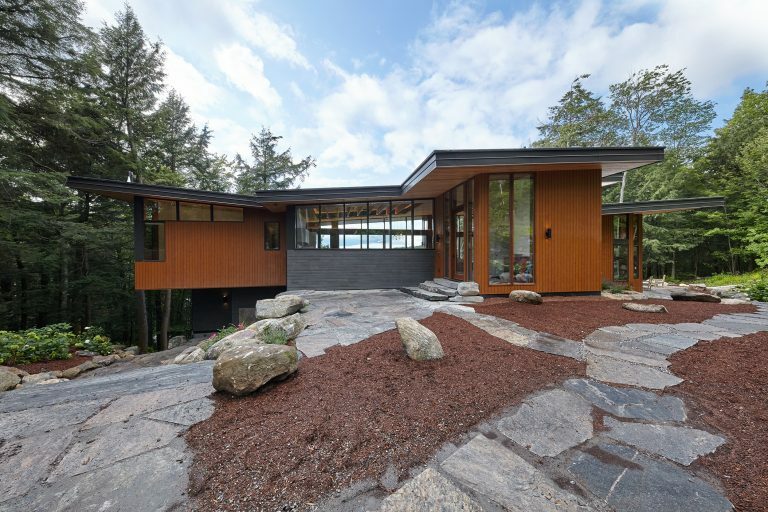 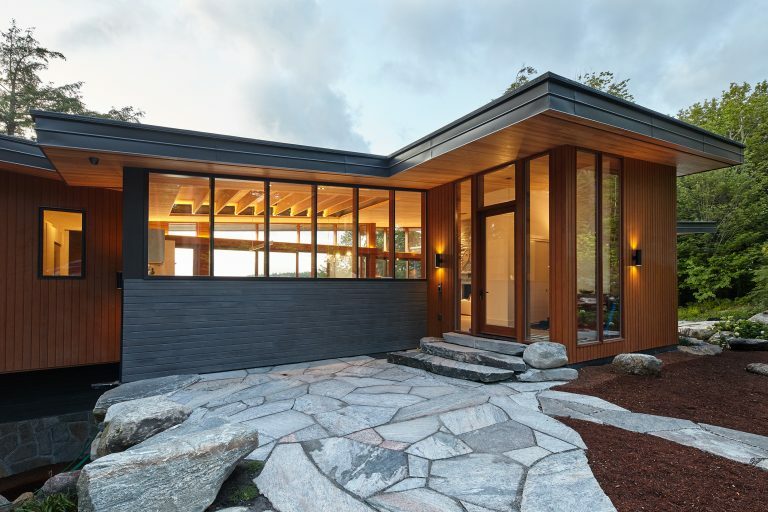 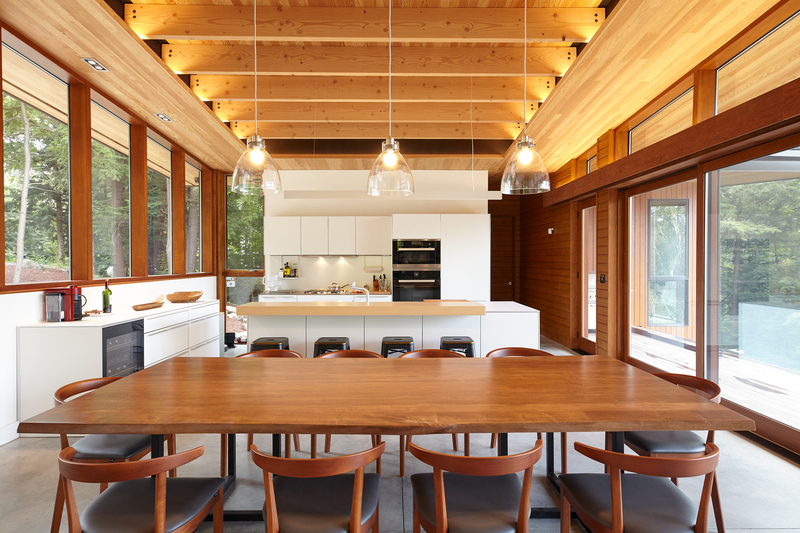 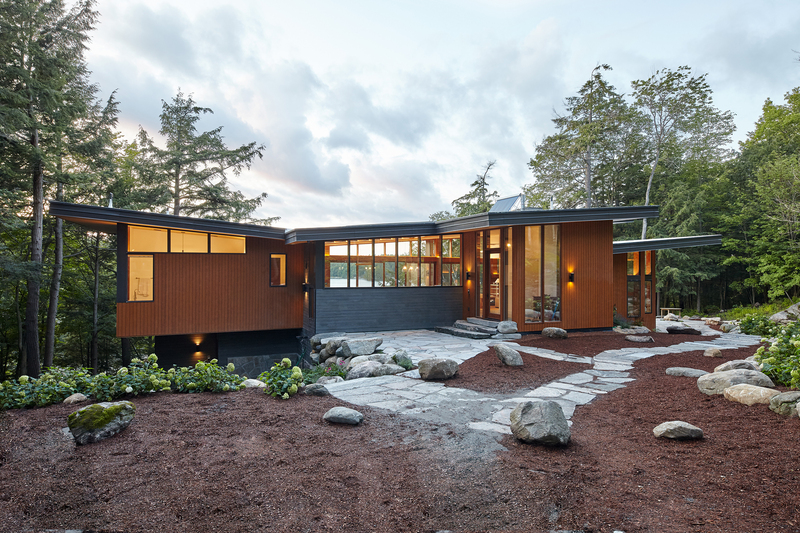 Stanley Bay Cottage - Trevor McIvor Architect Inc.
Sited overlooking beautiful Lake Joseph, Stanley Bay Cottage is anchored into the surrounding granite stone with a lower level walk out facing the lake. 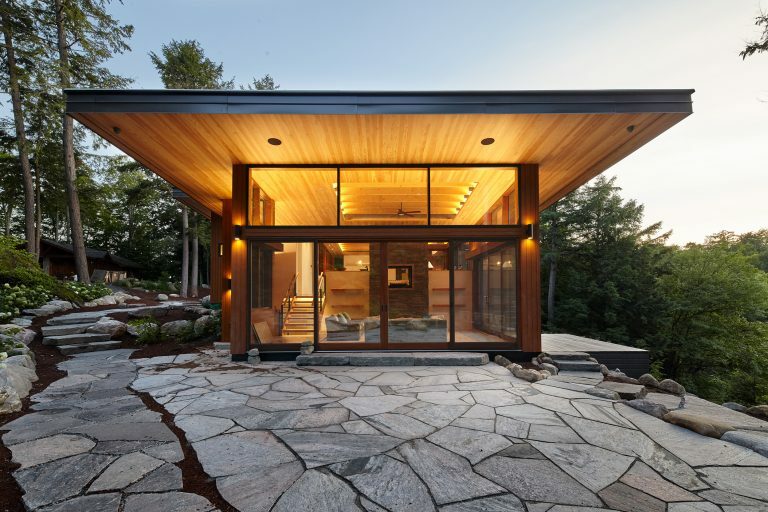 The varying roof planes of the building are inspired by the sloping landscapes. 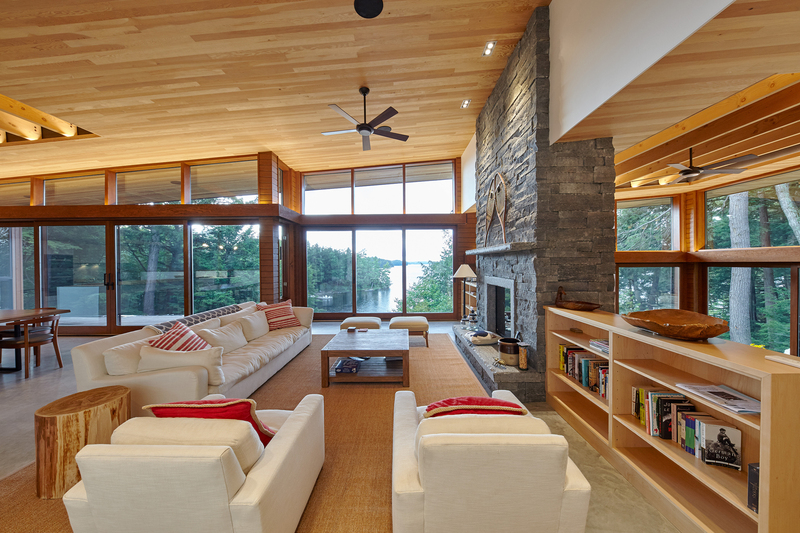 Upon approach, the lake is revealed through the home’s transparency. 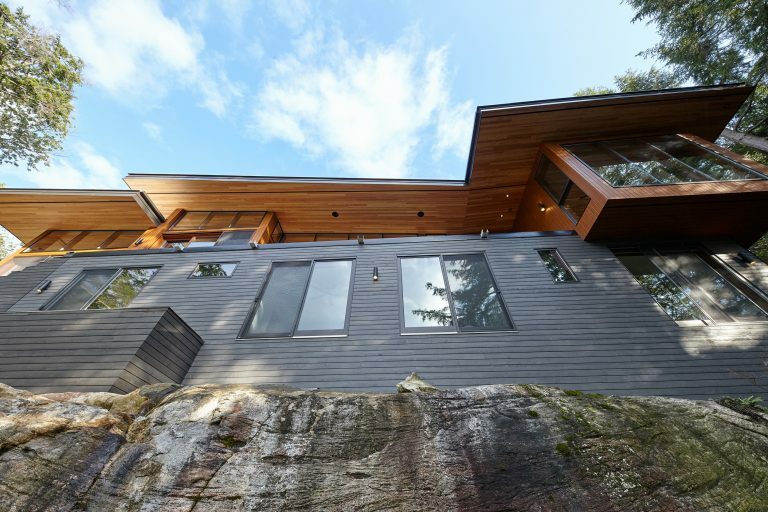 Vertical and horizontal prefinished wood siding is used to accentuate the various volumes and highlighting the programme. 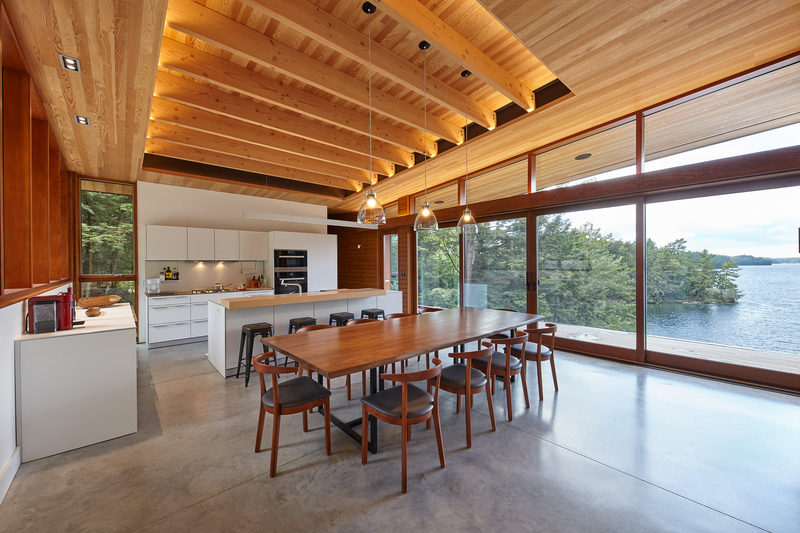 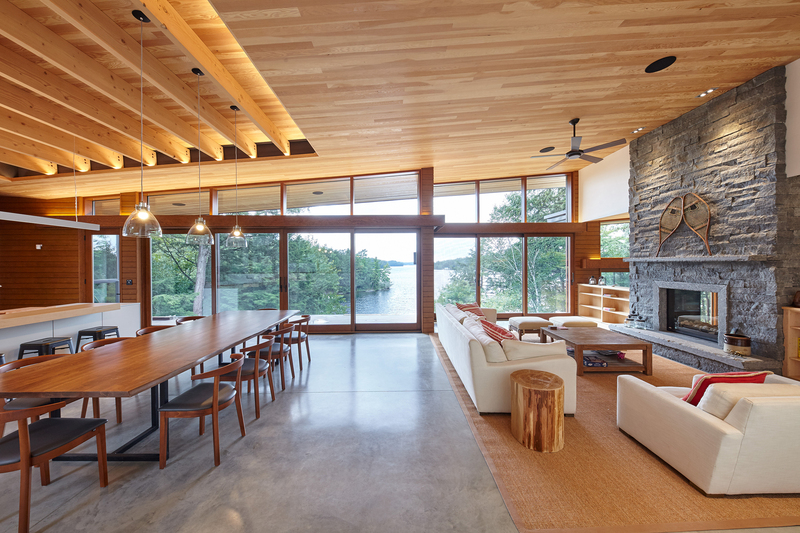 Stanley Bay Cottage is proportionately glazed focusing on framing views, solar gain, as well as energy efficiency and circulation. The main space is quite open with the kitchen, living room, and dining room forming one entity. 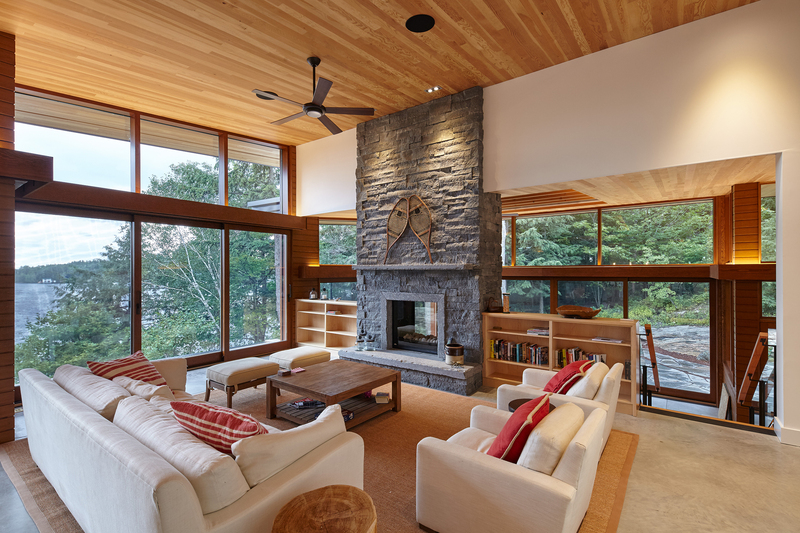 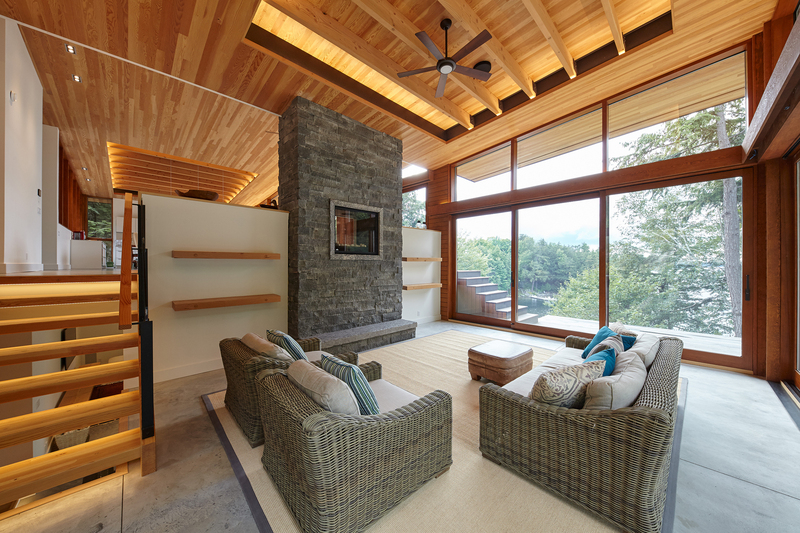 The lowered family room is separated slightly from the main area with a double-sided stone fireplace and multi-panel lift and sliding doors acting almost as a screened in porch. The radiant heating system is complemeted by an evacuated tube solar array.